Turnover. Conflict resolution. Benefits. Background checks. If any of these things keep you up at night, then you MUST be a human resources professional working in a homecare, home health or hospice agency! 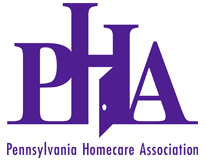 PHA has developed a special, one-day workshop to get you up to speed on all aspects of HR in the home-based care industry. Don’t miss this opportunity to learn from HR professionals in our industry from across the state and to network with your peers!